With SIGGRAPH 2016 in full swing, NVIDIA introduces its plans for GPU based ray-tracing, updates to Iray and mental ray, and extended support of SDKs and APIs. Virtual reality gets special treatment with ray-tracing and spherical composite video. And finally, NVIDIA begins scaling compute in the visual world with its Tesla P100 powered DGX-1 clusters, and introduces a monstrous 12 TFLOP Quadro, the P6000. 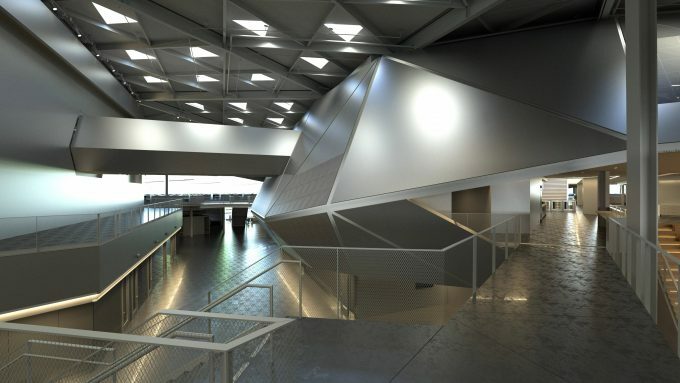 If Iray doesn’t meet your quality standards, or your workflow is built around a different rendering engine such as mental ray, then this next section is for you. mental ray will soon support GPU rendering, similar to that of Iray. It’s still currently in beta (and has been for a while), but will be hitting its major release this September. If you are lucky enough to be attending SIGGRAPH this year, there is a live demo of Maya with mental ray, showing off its interactive viewport render with Pixar’s Monster’s University, using the all new GPU rendering capabilities. Some new rendering options are available too with GI-Next for Global Illumination, which increase GI rendering by 2-4x times with just the CPU, but an additional 4-5x faster per added GPU. Geometry is handled by the GPU where available, with full support for custom shaders and mental ray effects. mental ray for Maya allows for final frame rendering within a dedicated viewport, similar to what Iray has done, which can provide an interactive progressive final render of the scene you are working on. Changes to lighting or object positions will all automatically update in the final render, so you can quickly see major changes and sort out the final lighting before sending the whole project off for render. It’s worth noting as well that since Autodesk has spun off all the rendering engines into their own plugins, NVIDIA now has full control over the update cycle of mental ray as of Maya 2017. This means new features and updates can be rolled out faster, without having to to wait for Maya to implament them. While we’ve already talked about Iray, it’s worth mentioning a couple more additions, namely its SDK that allows GPU accelerated ray tracing in Dassault CATIA and Siemens NX. This will be bundled with Iray SDK 2016.2 update. There will also be support for X-Rite’s AxF 1.3 format. MDL support is growing, and for the first time, will have its own SDK rather than just plugin support for packaged rendering engines. 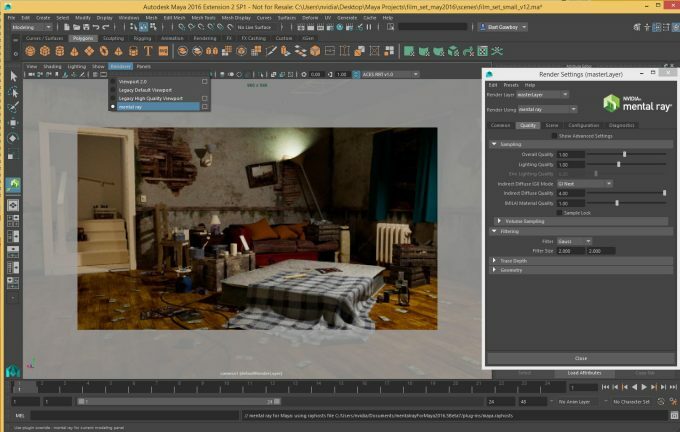 This means other applications can start to integrate MDL support, including the likes of Chaos Group (V-Ray) and Adobe. The extent of the integration isn’t known just yet, but it might mean that Photoshop or After Effects could allow artists to change materials and preview them directly without re-rendering the scene in their 3D package. This is something we’ll be keeping an eye on. VRWorks will be getting 360 Video SDK extensions, simplifying the creation and editing of VR content from non-VR sources. 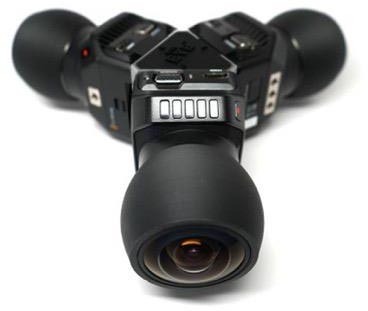 The kit allows for the stitching together of multiple video references (up to 32 video streams, depending on resolution) to create a single spherical video feed in either real-time, or for offline post processing. Additional GPU acceleration helps with encode, calibration and equalization of the different video feeds as well. This all works with GPUDirect for low-latency video as well. Video capture support for 8K video will be introduced, along with Vulkan API support, so it’ll soon be possible to record or stream ultra high-resolution content through either DirectX or Vulkan rendered content. The video codec engine will be updated to include 8k x 8k video feeds, 10-bit 4:4:4 H.265 (HEVC) encoding and VP9 decoding. A new tool that will be coming some time this autumn, is GVDB, a GPU accelerated framework for integration with ray-tracing tools, similar to OpenVDB, for rendering volumetric data. This is effectively high-density particle effects such as water and dust, but treated in a physical space and thus affected by various ray-tracing effects, instead of as a post-process filter. While OpenVDB is CPU-based, GVDB will allow such effects to be rendered on the GPU instead, resulting in 10x-30x speed improvements over CPU based rendering alone. It’s hard to go through all this without wiping the sweat of your brow, as the number of updates, enhancements and new hardware coming in the professional market is staggering. 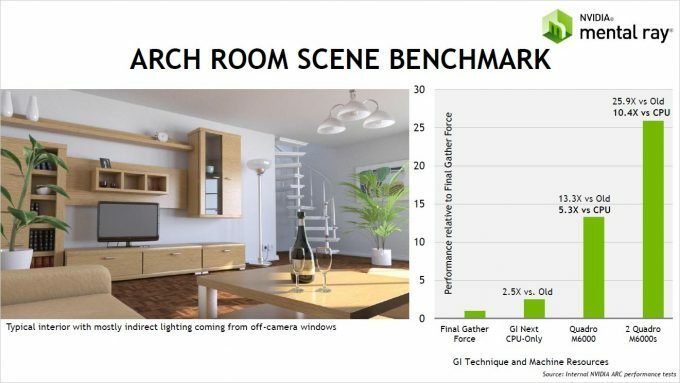 While much is still in the early stages of development (VR), the general feeling this year is that NVIDIA is really pushing hard for ray tracing over GPUs for final production. It might seem obvious to use GPUs for ray-tracing, but its been CPU only pretty much from its conception. Over the years, GPU acceleration has been involved for rendering of the viewport, but generally, it hasn’t been used for final production as the end result was inferior to what a CPU could produce, regardless of the speed benefits. As such, GPU rendering has had to fight a long-standing stigma. Over the last year though, GPU rendering has really taken off in the final rendering scene, with no small help from Iray. While viewport rendering is still the primary concern for workstations, GPUs in render farms are now a distinct possibility, with no small help from the addition of GPUs to mental ray. Whether the entire render will be completed on the GPU is another matter, but in another year or two, we could start to see it as a distinct possibility. 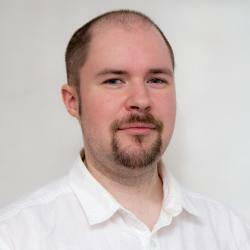 The latest Pascal-based Quadros also add weight to the matter, as the sheer compute power of the cards and the flexibility of CUDA, means that new possibilities are being opened all the time. The P6000 is definitely a card worth looking into, as the expected gains over the previous M6000 should be enough to warrant the upgrade, especially considering the extra cores it has over the TITAN X; but pricing will be key here. If we can get a pair of the new cards in to review, we’ll certainly put them through their paces with Iray rendering, as well as our usual tests. While the P6000 will be stealing headlines, the P5000 won’t be a slouch either. Considering that it’s a GTX 1080 with software enhancements, it should prove to be an extremely capable workstation card; not just for viewports, but for game development too. From autumn onwards, it’s going to be a very interesting time indeed, as much of the hardware and software are brought together. Who knows, maybe within a couple of years, we’ll finally start to see fully ray-traced games… but for now, VR will continue to evolve into the next level of realism, through immersion.